Initiate and coordinate patient care to accommodate the needs of the patient, the availability of the care provider team, and the resource limitations of the clinic and UCLA. The incumbent is also responsible for the identification, clarification, authorization, insurance claim submission, and insurance claim follow up of all medical and dental treatment services provided. Furthermore, the incumbent is required to create, maintain, update and retrieve complete patient records. Additionally, the incumbent is responsible for the cashiering and other operational duties of the clinic as assigned by the incumbent's supervisor and the administration team. • Demonstrated knowledge of Oral Surgery terminology, procedures and surgeries. • Demonstrated skill to organize work and determine priorities. • Demonstrated skill in using all Microsoft Office products. • Demonstrated skill to handle multiple demands and frequent interruptions and maintain a professional demeanor. • Demonstrated skill in using electronic and legacy scheduling and patient record management systems and processes. • Working knowledge of medical and dental insurance companies' (including CMS) billing policies and procedures. • Working knowledge of medical and dental procedural CPT and CDT coding process. • Demonstrated skill in patient management, including patient advocacy and resolution of patient complaints. 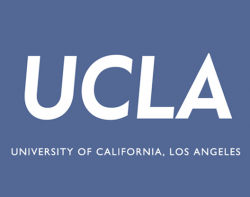 UCLA offers a comprehensive benefits package, including an average of three weeks' vacation per year; an average of 12 days per year sick leave; 12 paid holidays per year; health, dental and optical benefits; life insurance; disability insurance; the University of California Retirement Plan with 5 year vesting and various voluntary UC Savings Plans. There are also special programs and privileges available, such as accessibility to cultural and recreational programs, athletic events, and the University Credit Union.